South Florida is of the most economically segregated metro-areas in the US. 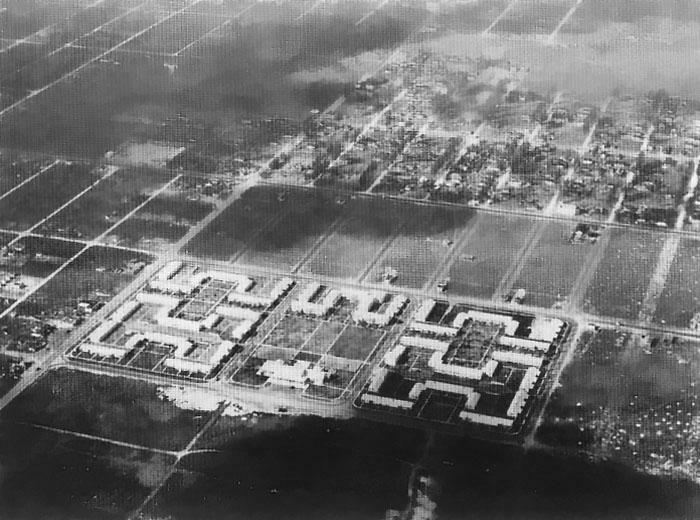 Housing developments like Liberty Square, contribute to some of the separation of the rich and the poor, but it's isolated rich enclaves that make that segregation the most pronounced. That evaluation is based on three forms of segregation -- income, education and occupation segregation. And occupation segregation is the most defined -- 30th out of 359. Individuals with service, creative and working-class jobs lived together and decidedly apart from people with other types of occupations. Income and education segregation is less pronounced, South Florida ranking 70th and 78th, respectively. In terms of income, the study looked at the segregation of just those in poverty compared to the rest of the population. According to the study "four of the ten metro areas with the lowest levels of poverty segregation are in Florida – Orlando, Tampa, Miami and Jacksonville." The lack of segregation of this income bracket is offset by the finding that the wealthy in Miami are one of the most segregated in the country from other income groups. This is not an entirely unique finding. Other studies have found that income segregation has largely to do with the isolation of the wealthiest population in small communities set off from the larger region. Poorer individuals are more evenly distributed throughout communities, and South Florida is no different. Research has shown that greater economic segregation has adverse effects on access and quality of education and healthcare. 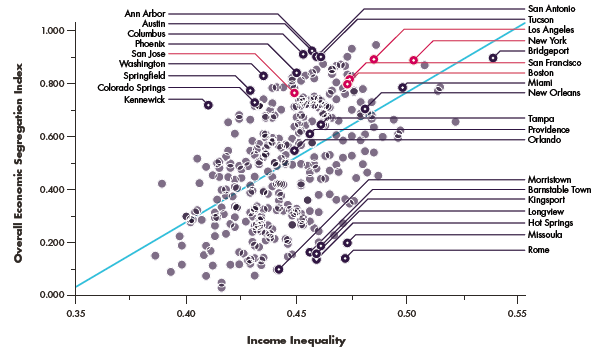 For example, economic segregation widens the achievement gap between high- and low-income students. 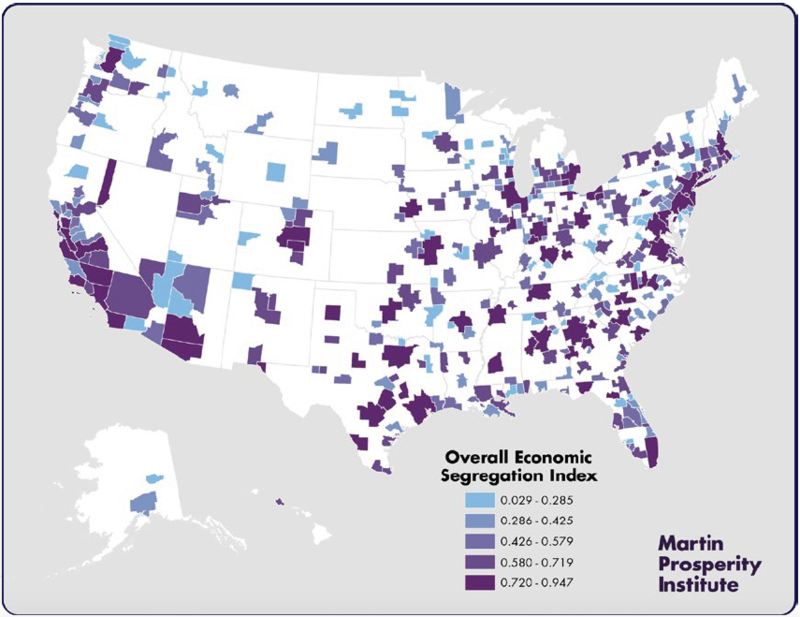 However, there are very few studies about segregation that allow for comparative analysis across metro areas, which was one of the Martin Institute's motivations for its study. This is the map of segregation the Martin Prosperity Institute developed. Many of the effects of economic segregation, like mortality rate, are closely tied to an area's economic inequality. On the map below you can see the median income of the region by Census tract, which highlights the areas of extreme poverty and wealth.